Canadiana Flowers is Canada’s top FTD florist with daily delivery to all areas of Canada and USA. At Canadiana Flowers, we are committed to providing our customers with nothing less than the finest floral products, backed with service that is fast friendly and always professional. Family owned and operated for over 40 years. With a large selection of fresh flowers and gourmet goodies our team of artisan floral designers will create stunning floral displays each and every time. Visit our web site at www.canadianflowershop.ca and view our selection of fresh arrangements and delectable gourmet baskets. Use your enrolled Visa Business card on purchases made at Canadiana Flowers and you’ll save 10%. Offer available at participating locations and online. The UPS Store has more than 360 independently owned franchise locations in Canada, providing convenient and value-added business services to the small-office/home-office market, corporate “road warriors,” and consumers. The UPS Store locations offer consumers and small businesses a wide range of products and services in one convenient location. Our range of products and services (services may vary by location) includes professional printing and document services, mailbox services, packaging and shipping and more! Use your enrolled Visa Business card at The UPS Store and you’ll save 5%. enroll now What's Near Me? Save 5% on purchases made at Webnames.ca with an eligible Visa Business card enrolled in the Visa SavingsEdge Program. Maximum annual earn of $150 per enrolled card. Webnames.ca is Canada's original domain registrar and a one-stop convenience for the online needs of small businesses. Canadian owned and operated since 2000, Webnames.ca began as a spin-off from the Internet pioneers who founded the .CA country code in 1987. We have registered hundreds of thousands of domain names and host thousands of websites. Our mission is to connect clients with the tools they require to create, protect and promote their online presence. Our bilingual customer support team is the heart of our company and the foundation of our relationship with you. Our team is passionate about customer service. In an industry geared for self-serve, Webnames.ca takes a very different approach. We are committed to helping our customers achieve their online goals by providing information, recommendations and resources about all things Internet. Offer valid from 01/03/2017 - 01/02/2019. Maximum annual reward earn of $150 per enrolled card. Increase leads, sales, and awareness of your business. Target the right audience—locally or nationwide. Control your advertising budget and spending at all times. Offer valid from 12/01/2016 - 06/30/2019. Offer valid for Canadian issued cards in Canada only. Maximum total discount of $500 per qualifying cardholder during the Offer term. Offer is non-transferable and cannot be redeemed for cash or combined with any other Bing Ads offers. Void where prohibited, taxed or restricted by law. Taxes, if any, are the sole responsibility of the cardholder. 5% savings provided as a credit on a future account statement. Business Giving…Inspired by Godiva. For 85 years, Godiva has delivered an exceptional array of gifts for business clients that reflect their commitment to quality and good taste and make a lasting impression on all who receive it. Today’s the day to show your appreciation to valued employees and clients who have contributed to your company’s success. 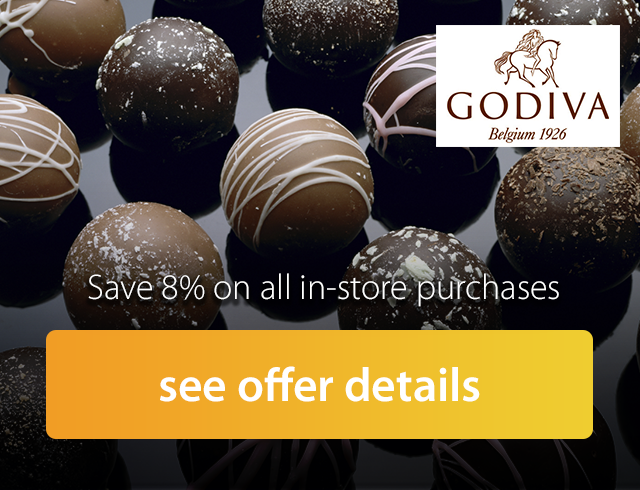 Use your enrolled Visa Business card on purchases made at Godiva® Chocolatier and save 8% in-store and receive personalized service with your order. To see store locations in Canada visit www.Godiva.com. Discount does not apply to online purchases. Founded in 1997, Akran Marketing is an award winning customer-driven, innovative branding company that provides exceptional service to the public and private sector, including several Fortune 500 clients in North America. Akran delights clients with one-stop sourcing for all of their branding needs – including uniforms, athletic sportswear, employee awards, corporate gifts, trade show displays, premium incentives, and specialty advertising services – on time and on target. Use your enrolled Visa Business card at Akran Marketing and save 10% on all purchases. Offer valid from 01/01/2017 - 01/01/2019. Use your enrolled Visa Business card on purchases made online at The Sweet Basket and you’ll save 8%. As the single source solution for all your refreshment needs, we have the largest distribution network in Canada to offer you true national reach with local presence. The quality of our products is unmatched with a full selection of premium coffee and tea brands, and superior drinking water that defines the industry's standard of quality excellence. We are your one-stop solution as the trusted company that delivers premium brands of water, coffee and tea, refreshments, and break room supplies. Our philosophy of "Canadians Nourishing Canadians at Work and at Home" is our foundation of service excellence for our customers. Use your enrolled Visa Business card at AquaTerra and you’ll save 5%. iStockphoto is the web’s original source for royalty-free stock images, media and design elements. For over 10 years artists, designers and photographers from all over the world have come here to create, work and learn. With millions of high-resolution stock photographs, clip art, vector illustrations, video footage and music to choose from, we’ve got something for everyone at every budget. Our straightforward pricing makes it easy to download the files you need. Use your enrolled Visa Business card on qualifying purchases made at iStockphoto and you’ll save 25%. 25% discount applies to a single online purchase of 8, 14, 30, 60, 150, 360 and 650 credit packs at iStockphoto.com. This offer may not be combined with any other offers, discounts or pricing agreements. We know accounting isn't easy – that's why you can trust Sage 50 to give you peace-of-mind. Make your business' financial records accurate, reliable and easy to understand. File your business taxes with confidence. Canadian federal and provincial accounting regulations are built right in! Handle accounting the easy way. Help avoid the pain of fines and penalties come tax time. Spend less energy on tedious tasks and more on what you're good at—connecting with your customers and getting new ones. Use your enrolled Visa Business card on purchases of $200 or more made at Sage 50 Accounting and you’ll save $50. 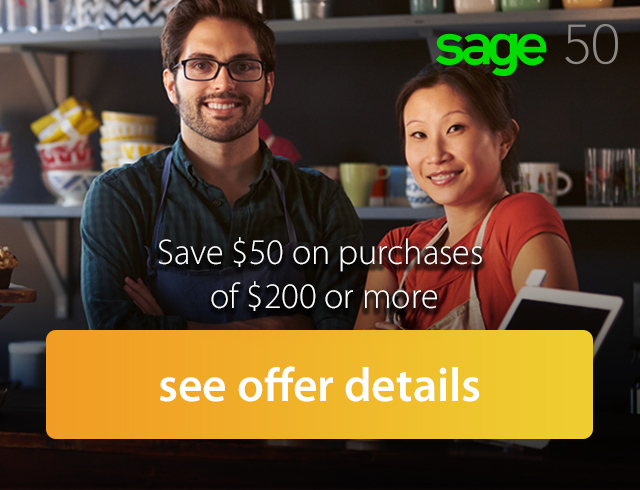 $50 discount on purchase of $200 or more at Sage 50 Accounting provided as a statement credit on a future account statement. Focusing on providing comfortable accommodations and friendly service, an ideal option for all budget minded travelers. Use your enrolled Visa Business card on qualifying hotel room reservations made at Travelodge in the United States and you’ll save 4%. Where a US dollar credit is applied to a Canadian dollar Visa Business card, the credit is converted at the foreign currency conversion rate established by Visa in effect on the date the credit is posted to your Account. Offer only redeemable in the U.S.
Offer valid on charges appearing on the hotel bill when paid with an enrolled Visa Business card. Rebate does not apply to charges relating to third party sales transactions not paid directly at or through the hotel. Charges relating to restaurants, bars and shops do not qualify for a discount. For value-conscious travelers looking for familiar, dependable accommodations and amenities that ensure a happy stay. Use your enrolled Visa Business card on qualifying hotel room reservations made at Howard Johnson in the United States and you’ll save 4%. With free high speed internet, comfy beds, and nearly 900 locations worldwide, Ramada offers a variety of hotel choices to match every trip. You do your thing. Leave the rest to us®! Use your enrolled Visa Business card on qualifying hotel room reservations made at Ramada Worldwide hotels in the United States and you’ll save 4%. With over 1,700 locations worldwide, Days Inn® hotels offer great value to leisure and business travelers including free Daybreak® Breakfast and free high-speed Internet access. We work hard to earn our reputation as "The Best Value Under the Sun." Use your enrolled Visa Business card on qualifying hotel room reservations made at Days Inn® in the United States and you’ll save 4%. Come visit Wyndham Garden and enjoy contemporary amenities with an upscale twist. Use your enrolled Visa Business card on qualifying hotel room reservations made at Wyndham Garden in the United States and you’ll save 4%. Offer only valid in the U.S.
Discount does not apply to charges relating to third party sales transactions not paid directly at or through the hotel. With over 2,000 convenient locations across North America offering free breakfast and free high speed internet access, you can always count on Super 8® for a great night's rest. Use your enrolled Visa Business card on qualifying hotel room reservations made at Super 8® in the United States and you’ll save 4%. Use your enrolled Visa Business card on purchases made online at umbra.com and you’ll save 5%. Lenovo’s business is built on product innovation, a highly efficient global supply chain and strong strategic execution. The company develops, manufactures and markets reliable, high-quality, secure and easy-to-use technology products and services for small business owners who want technology that does more— because small business owners have a lot more to do. Use your enrolled Visa Business card on purchases made online at the Lenovo Canada website (lenovo.com/ca) and you’ll save 5%. Plus you’ll also save up to an additional 10% in immediate discounts when you click the link below. Offer valid only for purchases at the Lenovo Canada website (https://www3.lenovo.com/ca/en/). With millions of awesome products across 27 categories, you can get virtually all of your shopping done at SHOP.CA. Plus, get FREE Shipping and FREE Returns 365 days-a-year on almost all orders, fabulous customer service and a Rewards program that lets its members earn for purchases and social activity. Use your enrolled Visa Business card on purchases of $50 or more made at Shop.ca and you’ll save 3%. 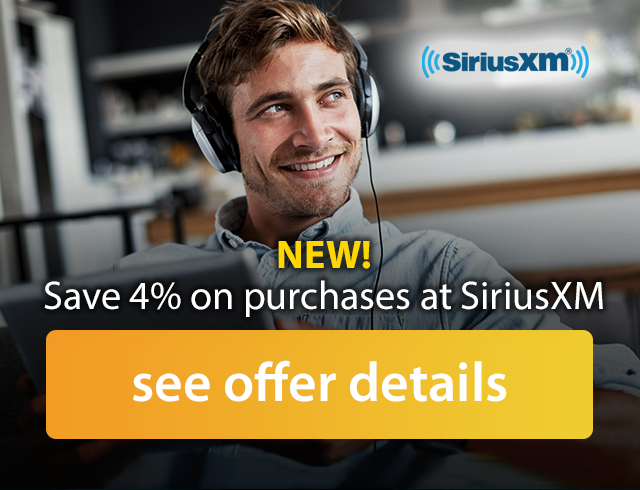 Save 4% on purchases made at SiriusXM with an eligible Visa Business card enrolled in the Visa SavingsEdge Program. Maximum lifetime earn of $100 per enrolled card. SiriusXM Canada creates and offers commercial-free music; premier sports talk and live events; comedy; news; and exclusive talk and entertainment. SiriusXM is broadly available in vehicles from every major car company and on smartphones and other connected devices as well as online at siriusxm.ca. Offer valid from 4/3/18 – 4/2/19. Save 4% with your Visa Business card! Save 4% when you spend $100 or more on all Alamo rentals in Canada when you pay with your enrolled Visa Business card. Once you've reached your destination, be sure to check out the Self-Service Kiosks from Alamo – now at select Canadian locations. It's the hassle-free way to start your trip. To redeem this offer, call Alamo at 1-800-GO-ALAMO (1-800-462-5266) or book online. Rental discount applies to base rate only charged to your enrolled Visa Business card and does not include taxes (including VAT/GST), other governmentally-authorized or imposed surcharges, license recoupment/air tax recovery and concession recoupment fees, airport and airport facility fees, fuel, additional driver fee, one-way rental charge, or optional items. Offer requires use of a valid, enrolled Visa Business card to secure and pay for the rental. Renter must meet standard age, driver and credit requirements. Save 4% when you spend $100 or more on rentals of any size car in Canada from National Car Rental when you pay with your enrolled Visa Business card. To redeem this offer, call 1-800-CAR-RENT® (1-800-227-7368) or book online. Availability is limited and is subject to change without notice.